As a daytrip out from San Christobal de Las Casas, a lovely but freezing mountain town, we rode horses to a Chiapan village called Chamula. Chamula’s church has floor covered with pine needles and hundreds of small candles by altars around the sides of the immense and lofty hall. No pews or nave, and more of the less official feel of a village hall, a place for social gatherings. Tables are piled up in one corner. 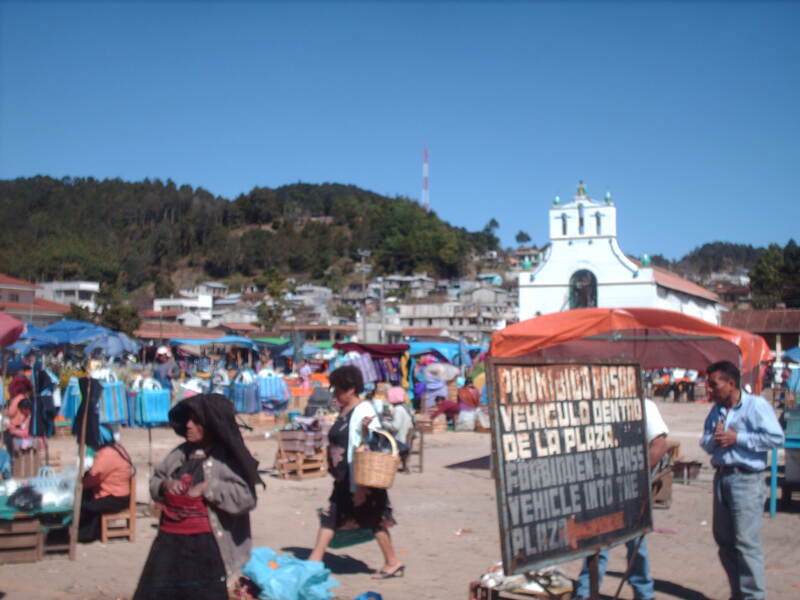 But there is also an air of pre-Hispanic ritual – a chicken is being waved over some candles in a basket, seemingly unperturbed – though we later read that chicken sacrifice is practised in Chamula. Local youths are gathered in the central space wearing t-shirts emblazoned with the Virgin of Guadalupe: the festival day is the 12th (this coming Sunday) and all week vans full of similarly attired people and covered with balloons have been driving very slowly through the state. Waking up in Palenque’s rainforest, we visited the famous Maya ruins before jumping on a mini-bus headed to Frontera Corozal, and the border with Guatemala. 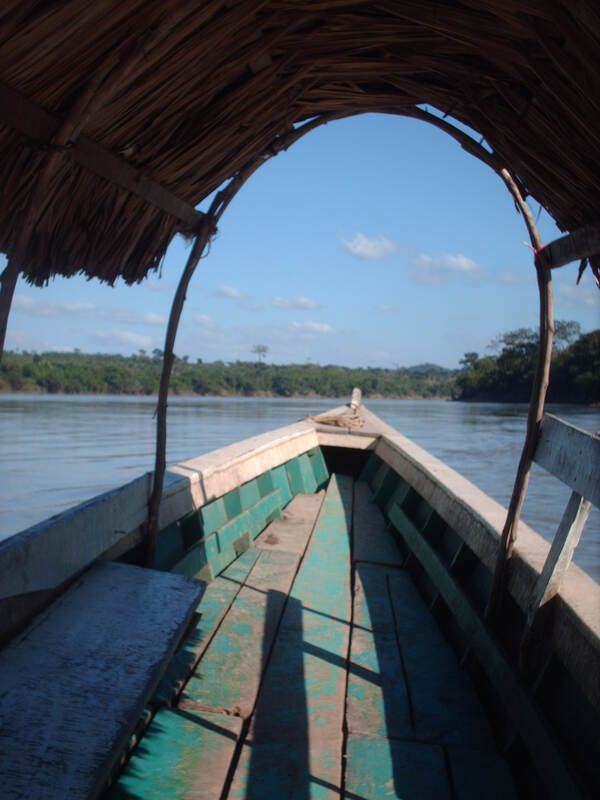 Once there, without exactly intending it, we found ourselves aboard a lancha, a narrow skiff with a thatched canopy. In this manner, twenty minutes along the Río Usumacinta, we crossed from Mexico on the right bank to Bethel, Guatemala, on the left. From there it’s a four hour bus ride to Flores, during which we made conversation with a couple of friendly young Guatemalans, who taught us a handshake and were generally exuberant. I don’t know where exactly on this bus journey the whole world outside the windows became green, but at some point I became vividly aware of it. Actually it probably began in Chiapas, the absurd proliferation of different shades of the colour, and everything growing anywhere it can. I thought in Palenque, and later in the rainforest around Lago Péten and Tikal, that they are not as startlingly different from an English forest as I’d expected, grass still being grass and trees being trees. The distinctions are more subtle. Leaves are larger, and there is almost no space on the floor or in the canopy left unoccupied. Around the ruins of Tikal I also saw (and heard) Howler Monkeys, Spider Monkeys, many kinds of birds I didn’t recognise, and an anteater. 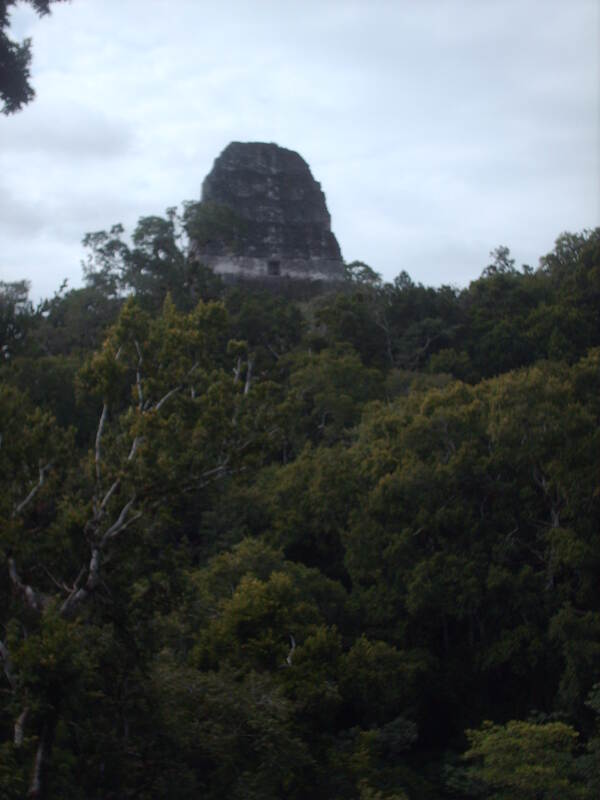 The best ornithology is to be had from the tops of the temples, as they’re level with the forest canopy. If it weren’t for the fact that Stephens’ book was published 21 years before Newman’s, in 1843, it would be easy to suspect influence. The other way around seems less likely, but I suppose possible. 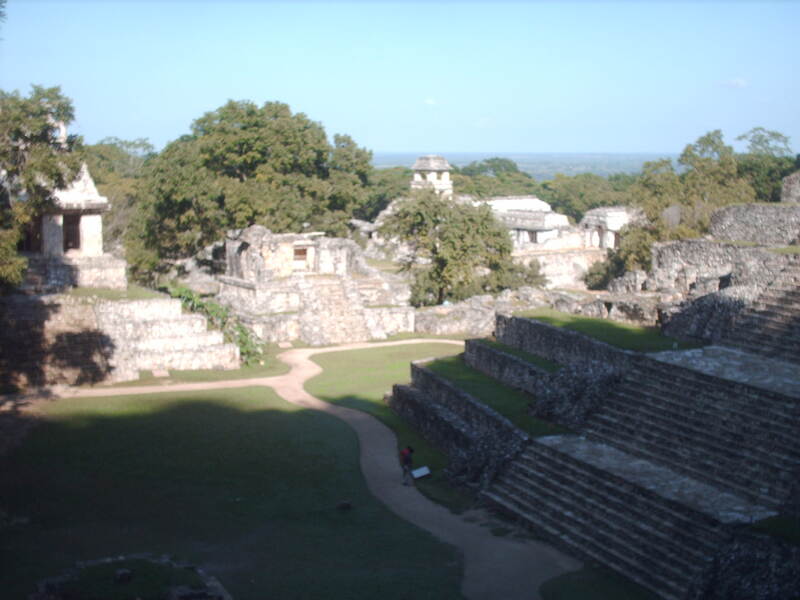 This entry was posted on December 27, 2010 by daneltro in Travel and tagged chamula church, chiapas, guatemala, incidents of travel in yucutan, john l. stephens, loitering with intent, mexico, muriel spark, palenque, san christobal de las casas, tikal.